I'm really honoured to have been nominated for a Liebster Award! Thank-you to the lovely Danielle from The Perks of Pretty Things for nominating me. What is the The Liebster Award? 1) You must link back to the person that nominated you. 2) You must answer the 11 Liebster questions given to you by the nominee before you. 3) You must pick 11 bloggers to be nominated for the award with under 200 followers. You cannot nominate the person who nominated you. 4) You must come up with 11 questions for your nominees to answer. 5) You must go to their blogs and notify your nominees. 1) How often do you ACTUALLY clean your make up brushes? I am definitely pretty slack with this! I admit it! I should clean them every week, but I actually clean them every fortnight. Almost always gets done on a Sunday and it's almost always the last "chore" I remember to do. I feel so pleased with myself once they're all nice and shiny though! 2) What colour is your loofah? Well, I'm glad that I actually do use a loofah. This question would probably be a little awkward for those that don't, haha. I own one I got in a gift set from the Body Shop and it's red. 3) What is your go to lip product? 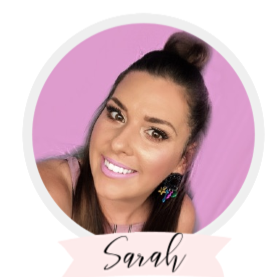 I am literally trying new products on a daily basis, but if I just want a lip that's easy and that I know I can rely on, I always gravitate towards my Australis Colour Mineral Inject Lipsticks or my Covergirl Jumbo Gloss Balms which are super easy to apply and fairly pigmented. 4) Cheapest and Most Expensive Beauty Product? My cheapest beauty product would probably be some ELF eyeshadow quads that were just a few dollars, and my essence mascara which was $5! I also have a few single eyeshadows from target that were maybe $2! My most expensive beauty products would be some of my palettes - Too Faced (A few of my Favourite Things LE), Urban Decay (Nakeds), Lorac (Pro Palette). I literally just bought my first high-end lipstick from Chanel today with a gift voucher for my birthday. Other than that, I have quite a few foundations, blushes and lipsticks from MAC which were pretty expensive, especially those bought in Australia! 5) Would you rather only wear bright nail polishes or dark nail polishes? Definitely bright nail polishes if I had to choose. I love a good dark nail but I don't think I could ever get sick of bright colours. 6) What is your favourite type of jewellery? (Eg, Necklaces, Bracelets etc): I like earrings better than anything else! 7) If you could be any animal or made up creature, what would you be? I think I'd be a bird because flying around just seems really fun and convenient, and birds are so little and cute. 8) What is the 23rd (from the most recent) photo on your phone? 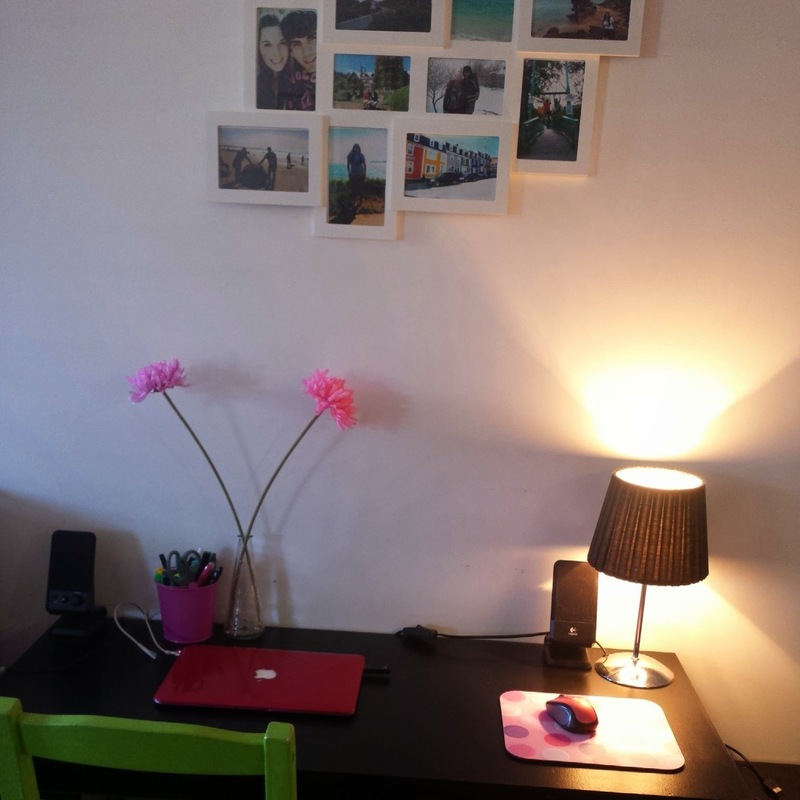 It's a picture of my little blogging desk where I like to be creative and write most of my posts. I think this was one I was going to post on IG but I couldn't decide if it was too boring or not. 9) What is your biggest pet peeve? My biggest makeup-related pet peeve, is when people criticize other's work in a really unproductive and negative way. I love receiving positive feedback around makeup application as well as advice and tips, but some people can do it in a really nasty way and this really irritates me. I think in the beauty community we should all strive to help and support one another instead of bringing each other down. 10) Most featured colour in your wardrobe? I wear a lot of bright colours like fuchsia, aqua, lavender and floral patterns! I have way more colour in my wardrobe than neutrals. 11) What is you favourite type of flower? 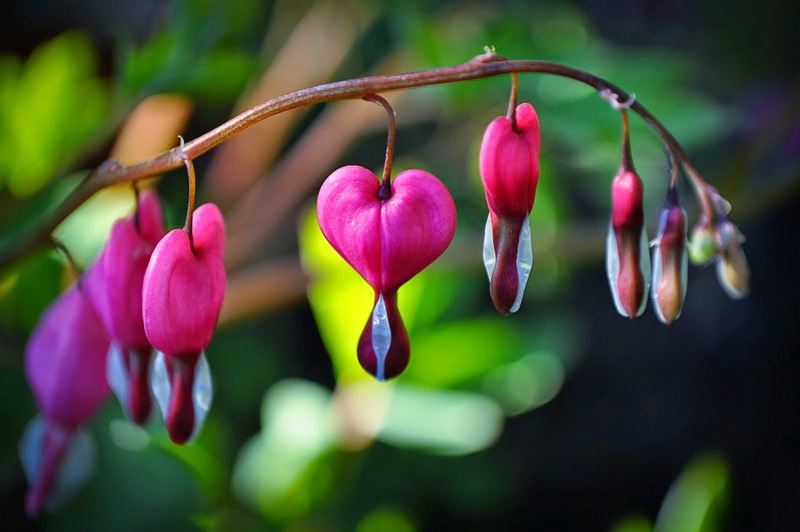 My favourite flower is a weeping heart. The name sounds sad but they are just gorgeous! 1) If you could only choose one makeup product to use for the rest of your life, what would it be? 2) Who is your favourite celebrity couple? 3) Would you rather go out for dinner & drinks with friends on a Saturday night or stay in with a book/movie? 4) What is your favourite meal to eat? 5) Who is your most admired beauty icon? 6) What is your favourite thing about makeup? 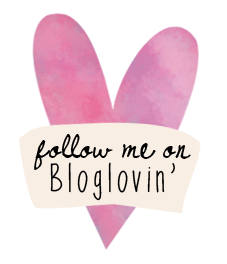 7) What characteristics about a beauty blog encourage you to visit it for a second time? 8) If you could only buy 3 high end makeup items every year, or buy a new drugstore product every month, which would you choose? 9) Would you rather have naturally bold and beautiful brows or naturally long lashes? 10) What is your holy grail foundation? 11) What is your favourite aspect of being a beauty blogger? Thank you for nominating me! :) I never heard of those flowers, but they are gorgeous!!! That's okay hun, you deserve it!!! I know the flowers grow in Canada but I am not sure where else. They are so pretty in person. I love how they are the exact shape of little hearts :) So cute.